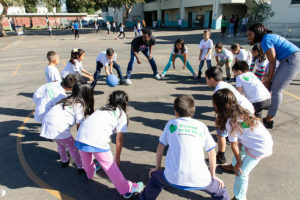 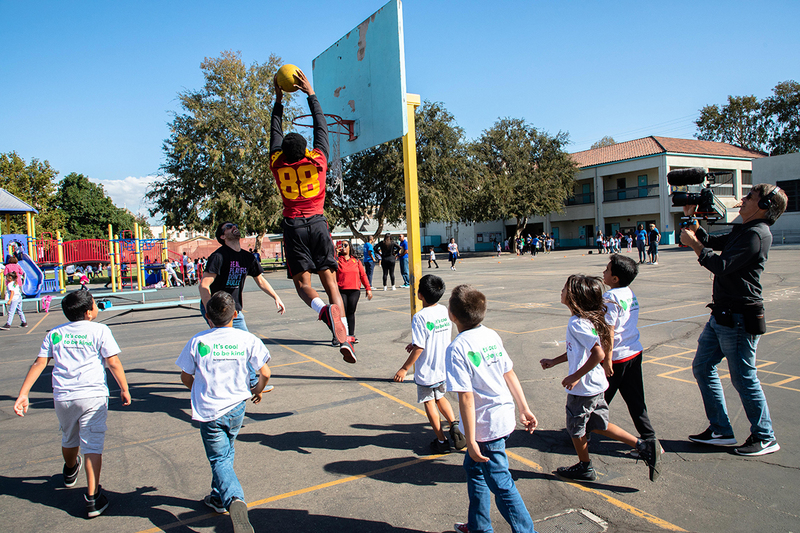 Playworks Southern California hosted Play Day with the Stars at Griffin Avenue Elementary School. 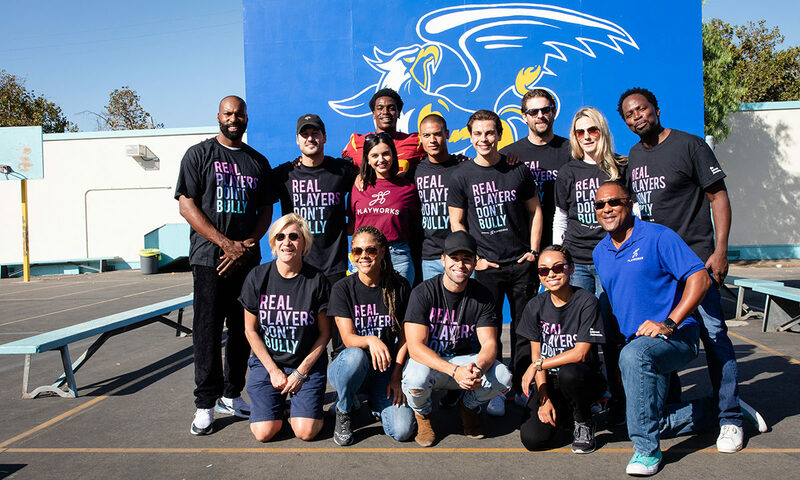 American actor Harold Perrineau best-known for his roles in “Lost” and “Oz” , two-time NBA All-Star Baron Davis, rapper Jake Miller, American actress Logan Browning best-known for her role on the Netflix series “Dear White People,” Jake T. Austin, American actor best-known for his role on Disney Channel’s “Wizards of Waverly Place,” Val Chmerkovskiy, current “Dancing with the Stars” pro, Jan Luis Castellanos, American actor starring in the new season of “Marvel’s Runwaways,” Rebecca Black, singer best known for hit song “Friday”, Lenora Crichlow, English actress best known for her roles in Sugar Rush, BBC’s Being Human, and the film Fast Girls, and USC student athletes learned and played new inclusive games during recess to showcase how easy it is to make recess a safe, healthy place for every kid to feel comfortable developing into their best selves. 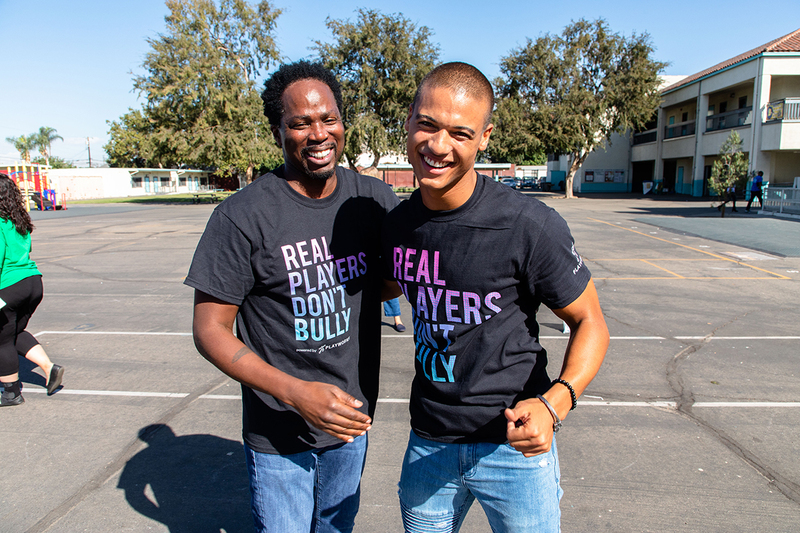 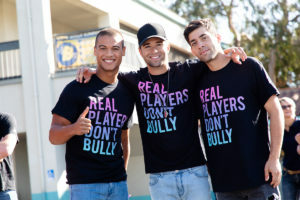 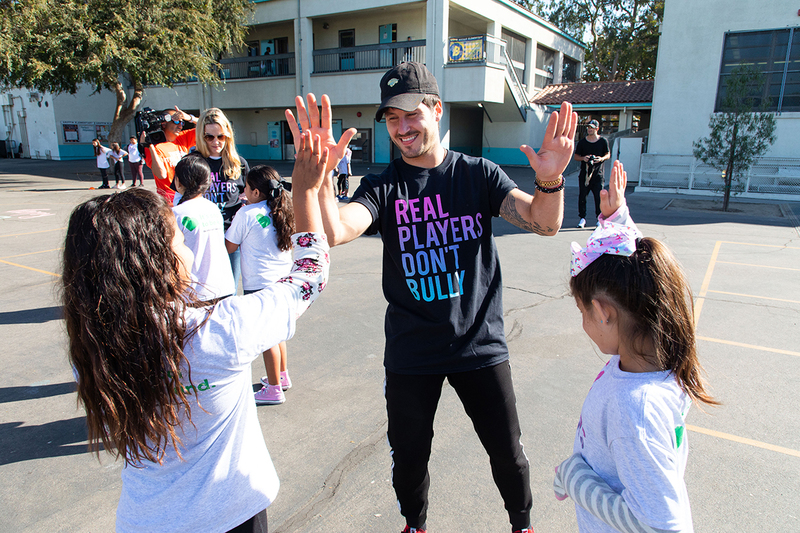 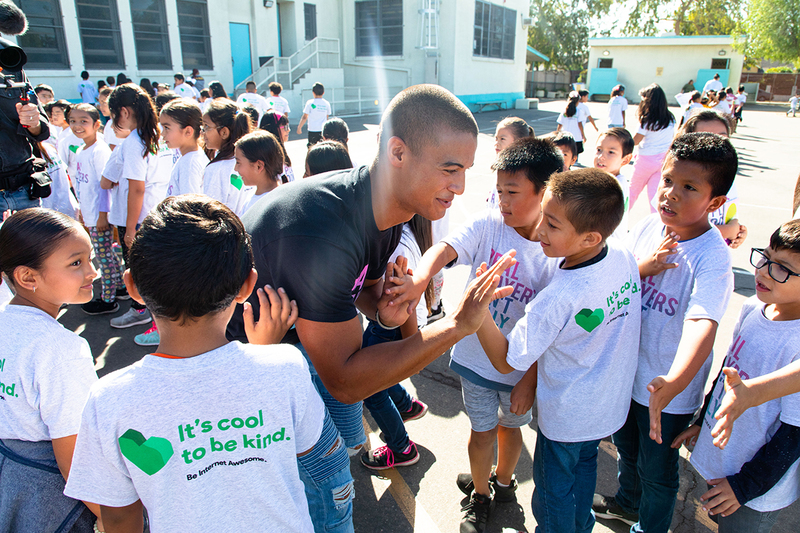 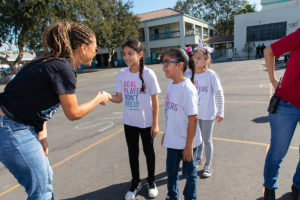 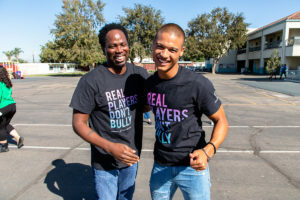 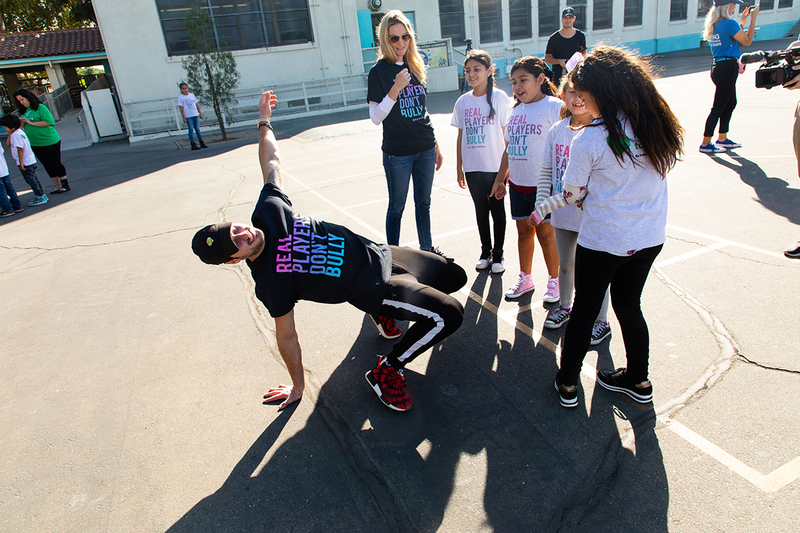 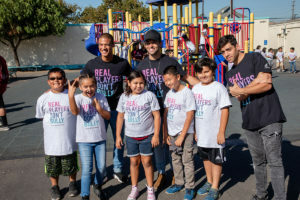 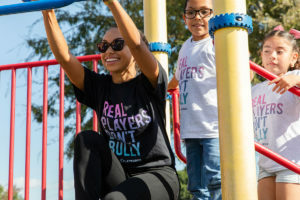 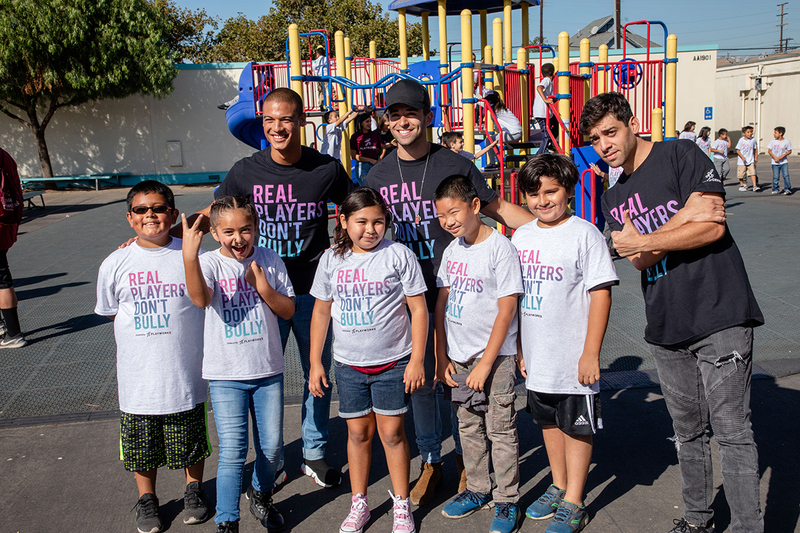 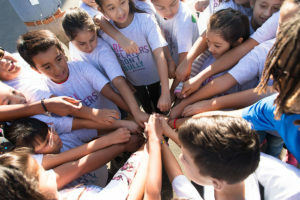 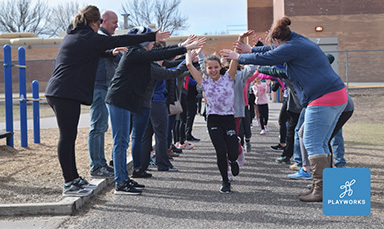 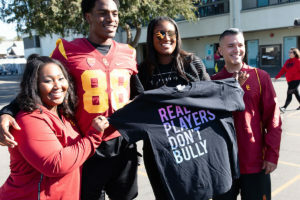 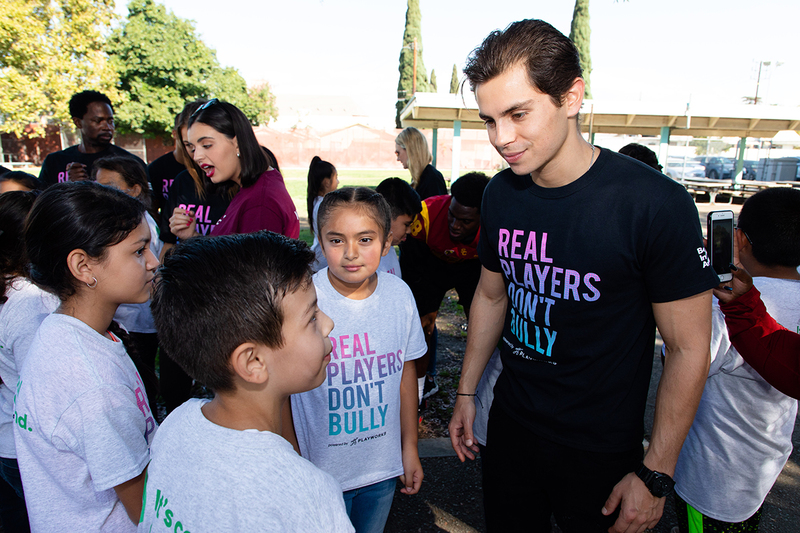 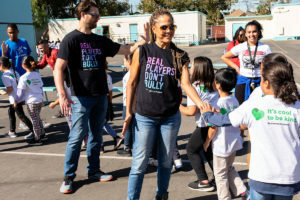 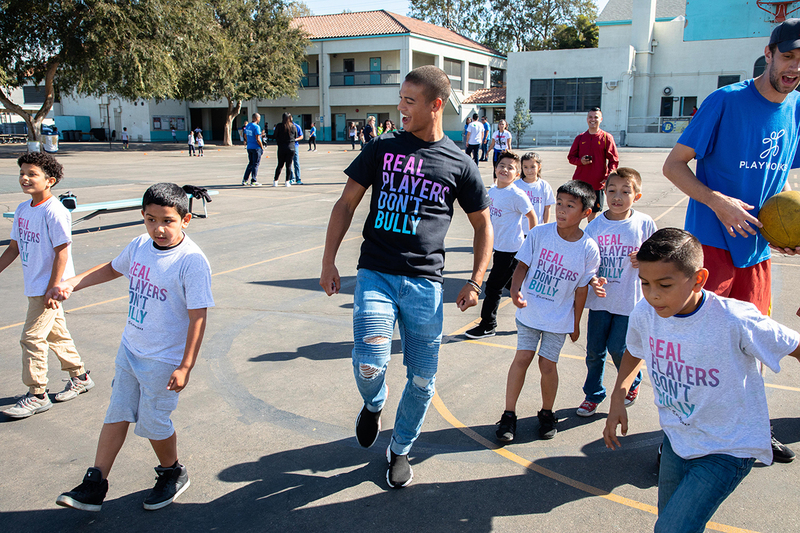 The event kicked off the nonprofit’s Real Players Don’t Bully Campaign to prevent bullying and increase inclusion at elementary schools by empowering kids to be more empathetic and kind to one another. 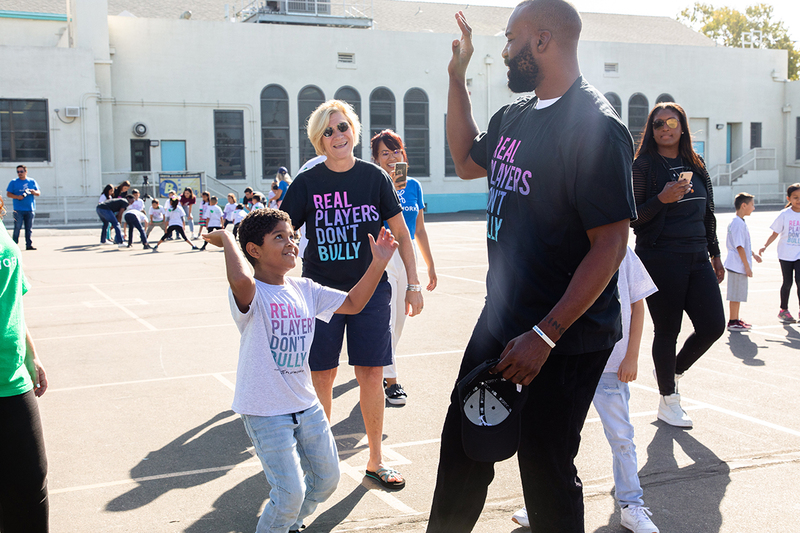 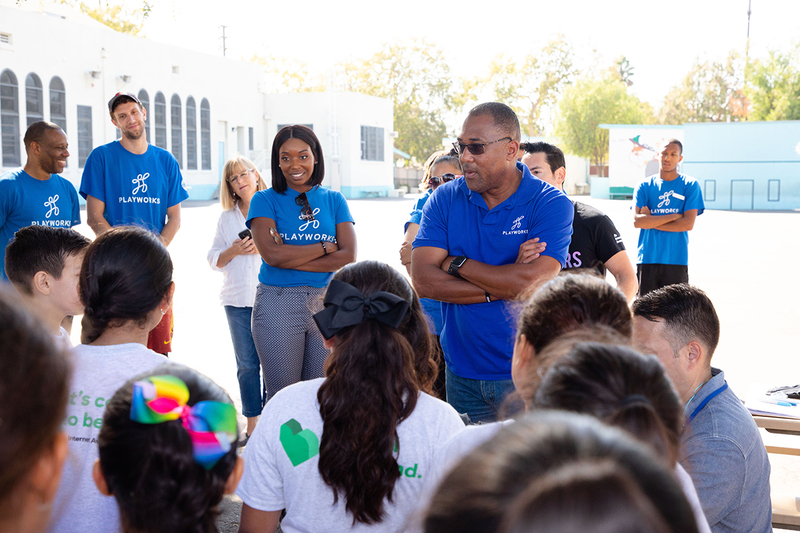 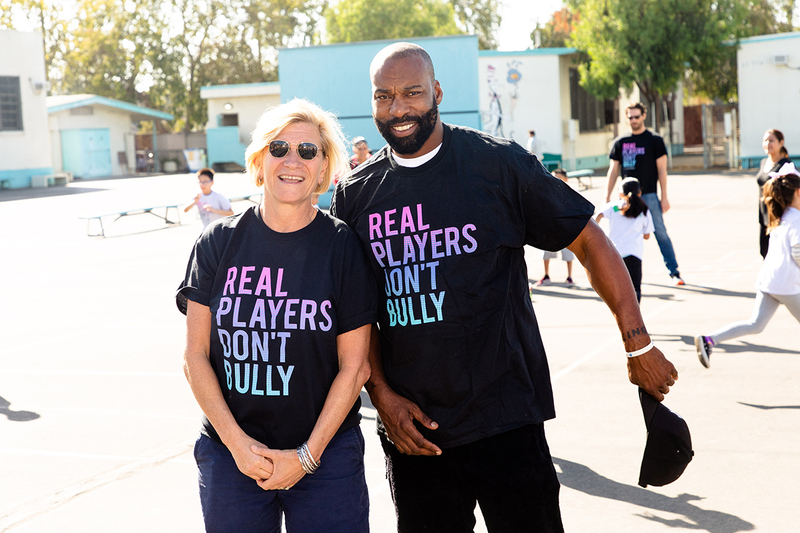 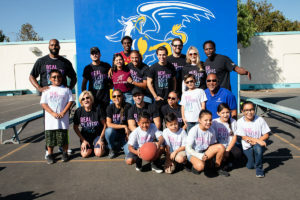 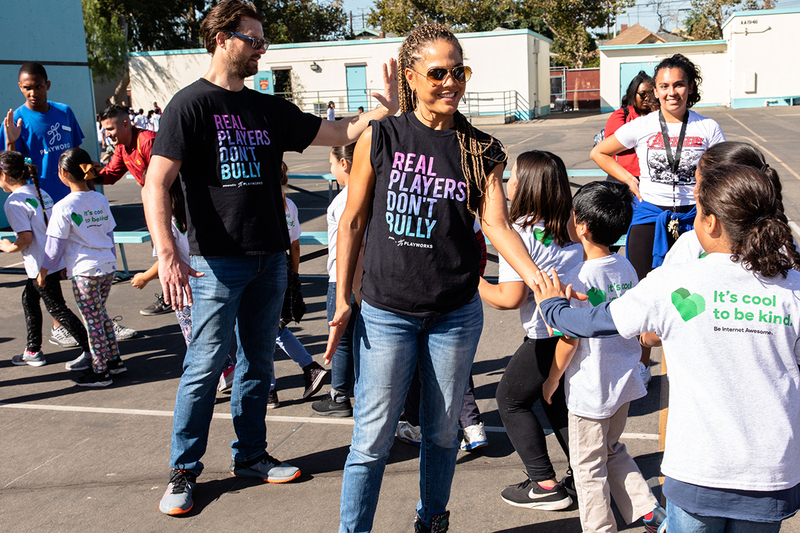 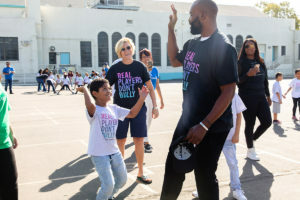 During the event, LaVal Brewer, Playworks Southern California Executive Director, and Harold Perrineau spoke about the importance of treating others with empathy and respect to be successful and how together we can stop bullying before it starts.  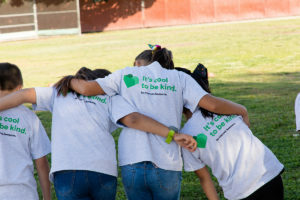 The campaign is supported by Google’s Be Internet Awesome, which promotes being kind online. 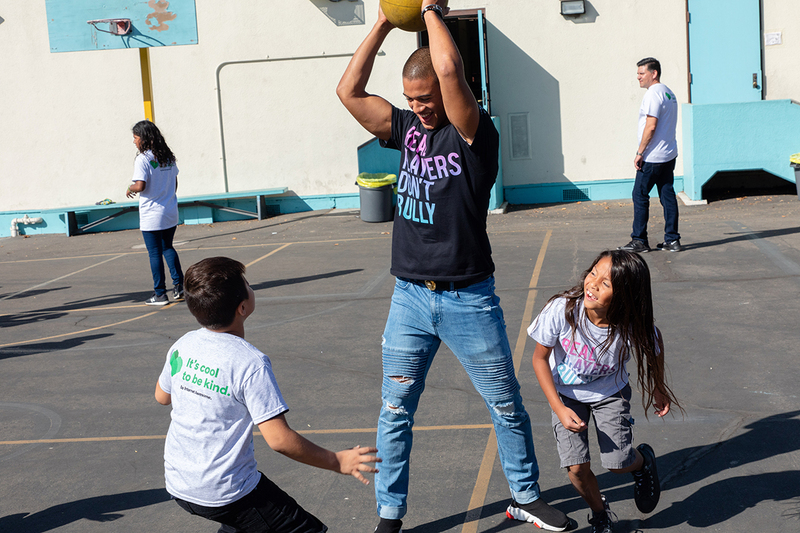 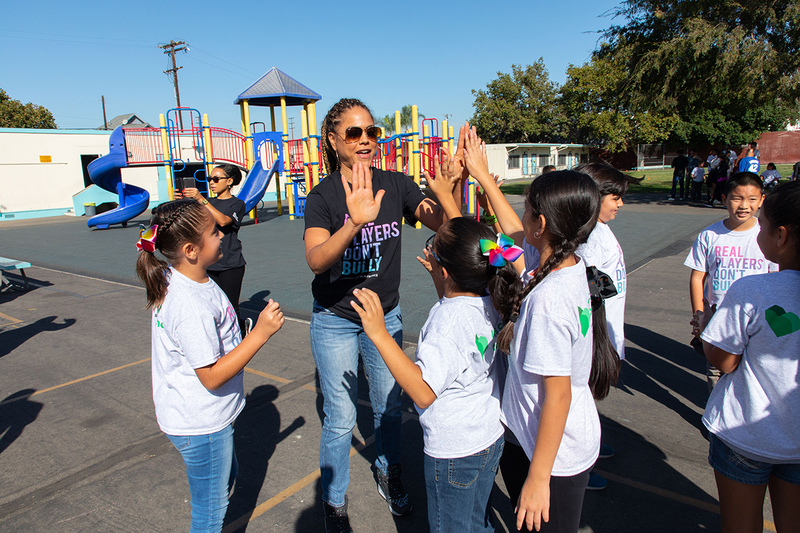 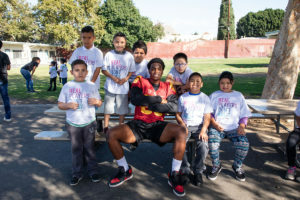 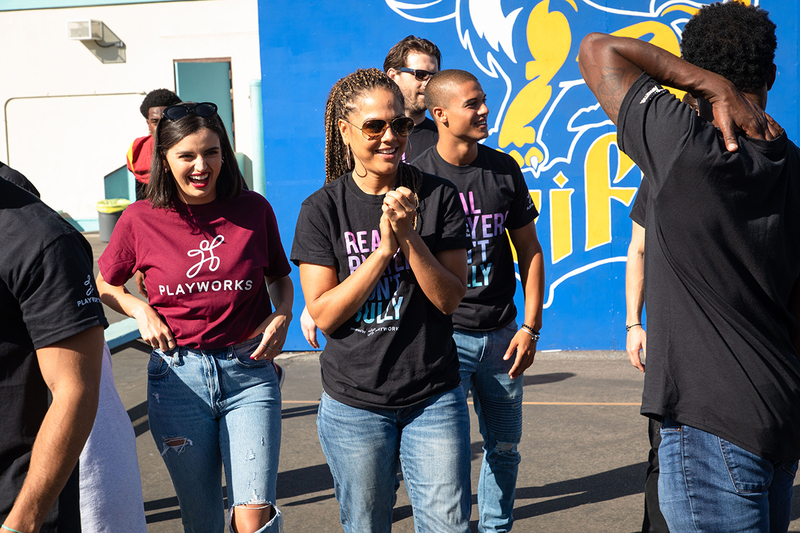 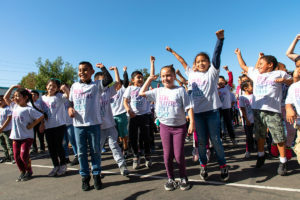 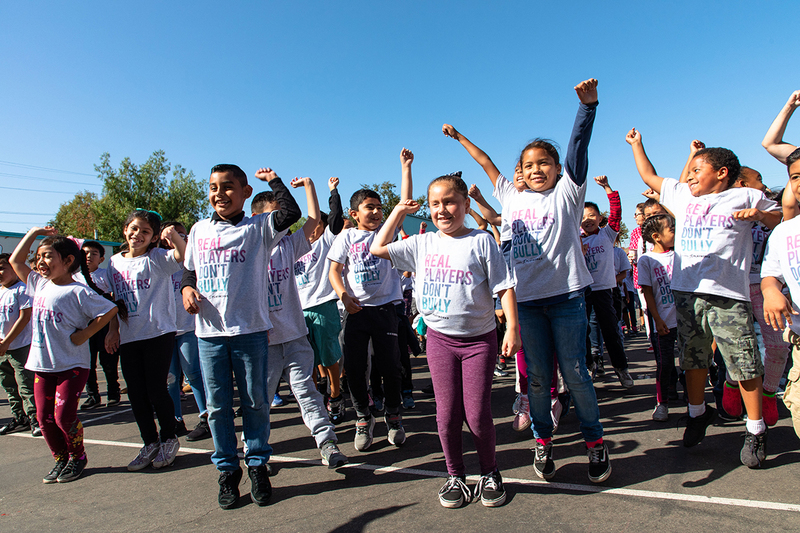 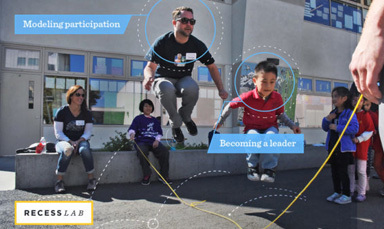 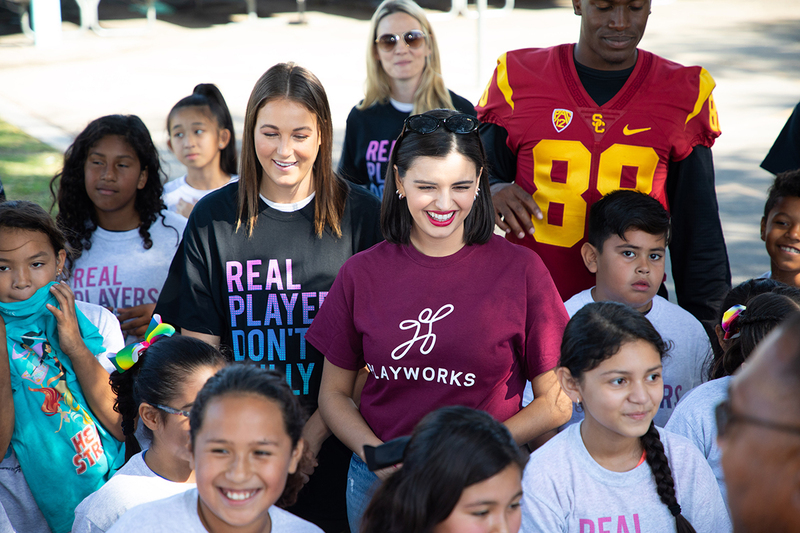 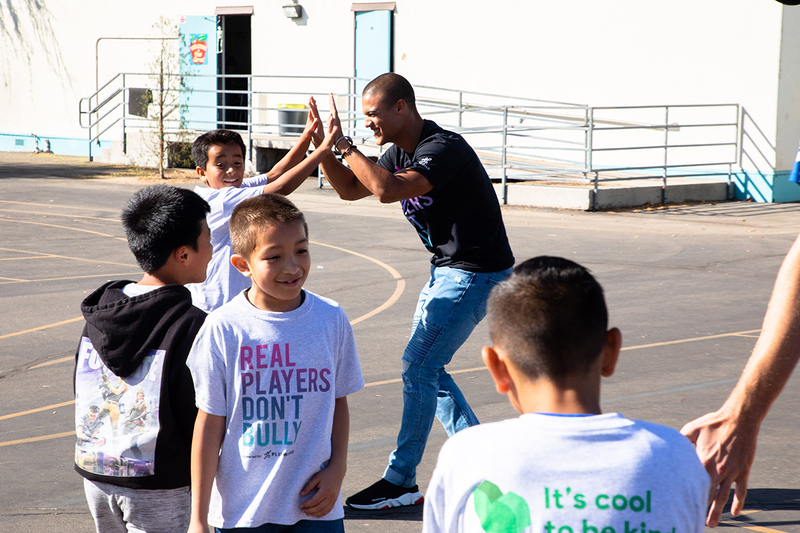 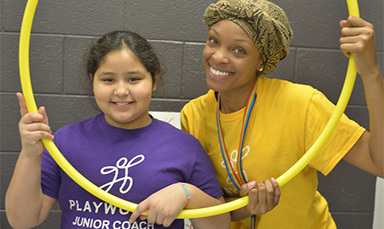 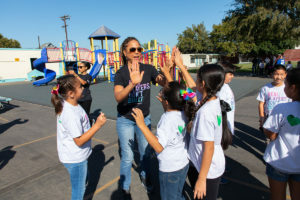 Playworks announced the launch of a partnership with USC Good Neighbors, which recently awarded $32,500 to Playworks Southern California to support play and youth development in the USC Family of schools during the 2018-2019 academic year. 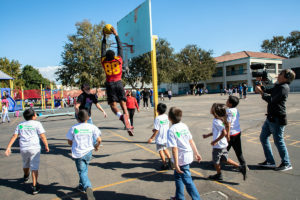 Griffin Avenue Elementary School will be the first partner school to receive a Playworks training service later this school year sponsored by the USC Good Neighbors grant. 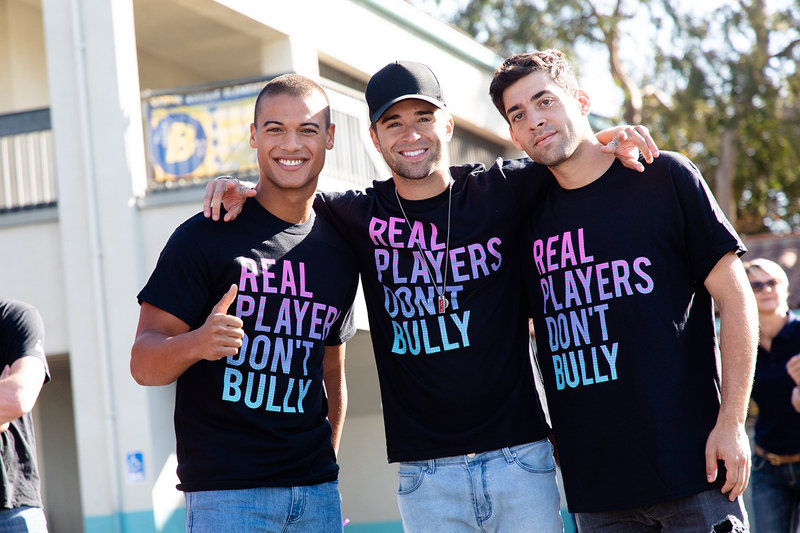 More than 3.2 million students report feeling left out or bullied at school each year. Every child deserves the opportunity to experience safe and healthy play every day.